"RSF HAS OPENED UP THE WORLD FOR EMERSON - AND FOR US"
For most families, taking a trip in the car or going for a walk are normal everyday activities. But for the family, life with a severely autistic child had become so challenging that it was impossible to leave the house. Emerson is ten years old; his autism means that he has learning disabilities, sensory processing disorder and is non-verbal. And two summers ago, his disability brought the family to breaking point. "We were effectively prisoners in our own home," said Angela, Emerson's Mum. "For six weeks, we didn't go out. Emerson became obsessed with the car, so we had to park it out of sight and couldn't take him in it. "He was also becoming aggressive, so two of us had to be with him all the time and we couldn't leave our three daughters alone. The only answer was for us all to stay at home," explained Angela. At the end of that summer, the family knew something had to change - and it did. Their lives were transformed when a social worker put RSF in touch with them. "Thanks to RSF, Emerson's world is now a bigger place. Even the 2:1 ratio that's needed isn't a problem - they're incredible, nothing phases them," said Angela. 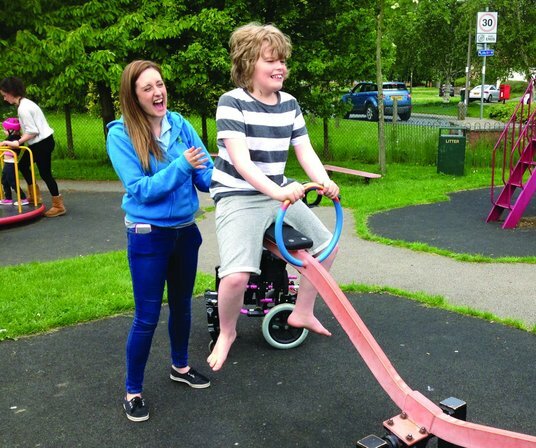 Some of the activities Emerson now enjoys with RSF include going to the beach, getting the train and riding an adapted bike in Dalby Forest - all of which would be impossible for his family to do with him. It's not only Emerson that benefits. "RSF has restored some normality for the girls," said Angela. "We can now take them out when Emerson's with RSF, knowing he's not missing out." With Emerson, there's no predictability: no bedtime, no knowing when he'll wake up. "Life is not normal and it never will be," said Angela. " But the difference RSF has made for us is beyond words. People want to win the lottery to buy things; I want to win the lottery to keep RSF going forever." "JJ HAS BECOME A SOCIABLE, OUT-GOING LITTLE BOY THANKS TO RSF"
Like any other boy his age, nine year old Jack, or JJ as he's known to family and friends, loves swimming, music and going to the beach - but that's where the similarities end. JJ was born with a rare heart condition and although his life-saving operation was successful, the delay in diagnosis caused a lack of oxygen to his brain. He was left with cerebral palsy and has developed epilepsy. "When JJ was two years old the health visitor noticed problems with his motor skills," said Eddie, JJ's Dad. "But it was only after a CT scan that his physical and mental developmental problems came to light." A physiotherapist referred JJ to RSF and the charity contacted the family. 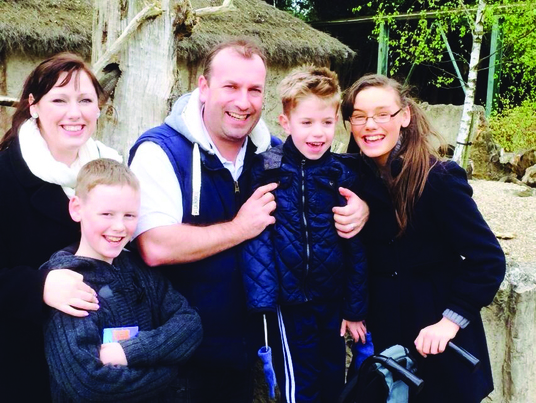 "We started taking JJ to the various activities on offer from RSF such as music and swimming, and he very quickly developed friendships," said Eddie. JJ didn't walk until he was six so mixing with able-bodied children has been difficult. However RSF gave him access to adventures, days out and sporting activities which would ordinarily have been impossible. In addition, his family believe these activities have played a pivotal role in developing his personality. "JJ loves going out with RSF and over the years, we've watched him develop as a person. He's constantly mixing with groups of people and he's become a very confident little lad. Without the interaction with the staff and children at RSF, he'd have been far more reserved," explained Eddie. The nature of JJ's disabilities means he can be complex and demanding. But his sessions with RSF provide a much-needed break for his Dad and stepmum, particularly in the summer holidays. "We can't speak highly enough of RSF. It's like one big family; the staff are superb and it's a fantastic organisation," said Eddie. "We hope that RSF is able to continue supporting JJ as he becomes a young adult; they deserve every bit of support they get." "WE'VE GONE THROUGH SOME VERY DARK PLACES, BUT RSF HAS SAVED US"
When Charlie was born three months early, he not only needed oxygen for the first year of his life but his complex health needs have impacted every aspect of daily life - both for him and his family - ever since. 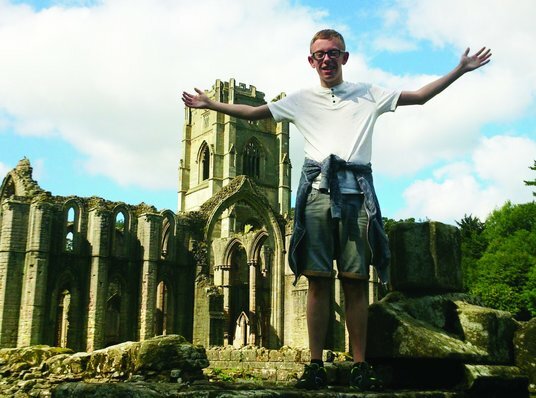 Charlie, who is now seventeen, suffers from epilepsy, PoTS (postural tachycardia syndrome) - an abnormal increase in heart rate, weak lungs and arthritis. This means that unlike other young people his age, Charlie can't attend college, go out with friends, play sport or be left on his own. It's been a battle for his family since his birth. But when Charlie was fifteen months old, his Mum Heidi got in touch with RSF - and the charity has played a pivotal role in Charlie's life ever since. "When Charlie was little, RSF was an invaluable support to us as parents. Now Charlie's older, the charity is there more for him. Essentially, the support started when he was fifteen months old and it's never stopped," said Heidi. Charlie currently attends RSF's youth group, the cinema club and summer activities. He has a good group of friends and also has a monthly one-to-one outing with a care worker. RSF has not only supported the family through the various outings and activities. "RSF has also helped with the complicated paperwork trail, hospital appointments and the transition from child to adult services. It's also provided respite care and stepped in during an emergency," said Heidi. RSF was also there for Charlie when he recently left college. "I had to drop out of my A-levels. I found it so stressful that I was bed-ridden. But RSF supported me throughout it," said Charlie, who wants to be a writer and has already been published. No day is without discomfort or pain for Charlie. But RSF has given him things to look forward to. "We could never repay RSF for all they've done," said Heidi. "The support has been huge and without them, our lives would've turned out so differently." "RSF HAS GIVEN MILLIE A SOCIAL LIFE AND FRIENDS, AND GIVEN US PEACE OF MIND"
Trying to 'fit in' when you're a teenage girl with complex epilepsy and atypical autism is a constant challenge. For Millie, suffering from seizures every day of her life since the age of five has not only resulted in short-term memory and learning problems, but building and maintaining friendships has been particularly difficult. Millie looks just like any other teenage girl but her 'hidden disability' meant that school was a challenge and her confidence was at rock bottom. "She didn't have any real friends at school," said Helen, Millie's mum. "There were no cinema trips, invites to parties or sleepovers. Millie was bullied and isolated and we went through a number of summer holidays where she didn't even see another child of her own age." 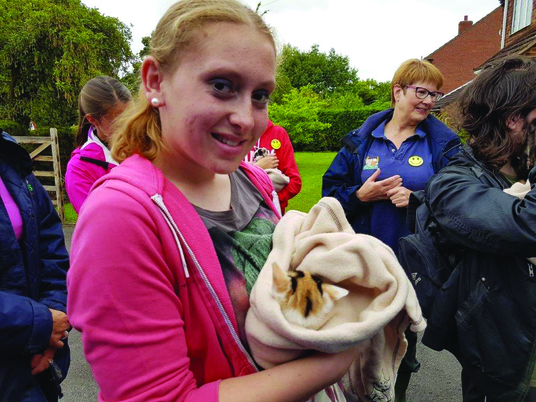 When Millie turned fourteen, Helen found out about RSF and it transformed Millie's life. "RSF came to her in the form of friendship. Her support worker Becky spent time with her, brought her out of her shell and most importantly, built her confidence," explained Helen. "RSF is still Millie's only social life and the summer holiday we've just had was the one of the easiest and happiest in years, thanks to all the workers and support from RSF." said Helen. Weekly outings during the holidays, youth groups and tea and cake with Becky have been pivotal in building Millie's confidence. And for her parents, RSF has been there to help with some of the other additional stresses. "They've come to hospital appointments, scans and educational meetings, as well as assisting with form-filling. Not to mention that they're always at the end of the phone ready to help or just listen when needs be" said Helen. As Millie's parents prepare for the next chapter in her life, they do so knowing they're not alone. "As we approach the post-19 transition, I know RSF will be there to support us all and make things as easy and stress free as possible," Helen said. "I wish we'd had their help since Millie was five. They've had such an impact on our lives over the last few years; they're amazing and I can honestly say I don't know where we'd be without them."